NEW DELHI: India and EU are expected to meet on January 18 in Brussels to iron out issues related to the ban imposed by the latter on around 700 pharma products which were clinically tested by Hyderabad-based GVK Biosciences. Accompanied by industry representatives from Pharmaceuticals Export Promotion Council (PHARMEXCIL), senior officials from the commerce ministry will be visiting Brussels next month. 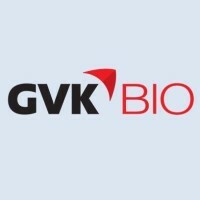 “Several issues are likely to come up during the meeting, including GVK Biosciences,” an official said. The ban imposed by the 28-nation bloc had led to deferment of talks in August between the two sides on the stalled free trade agreement, officially dubbed as Broadbased Investment and Trade Agreement (BTIA), to boost two-way commerce and investment. India had expressed disappointment on the development and stated that the decision was taken unilaterally. The EU had banned the marketing of around 700 generic medicines for alleged manipulation of clinical trials conducted by GVK Biosciences. Now, India has agreed to hold consultations with the EU next month on the BTIA. In the last round of talks in May 2013, both the sides failed to bridge substantial gaps on crucial issues, including data security status for IT sector.